Domino’s have introduced the Reef, Steak & Bacon Pizza! 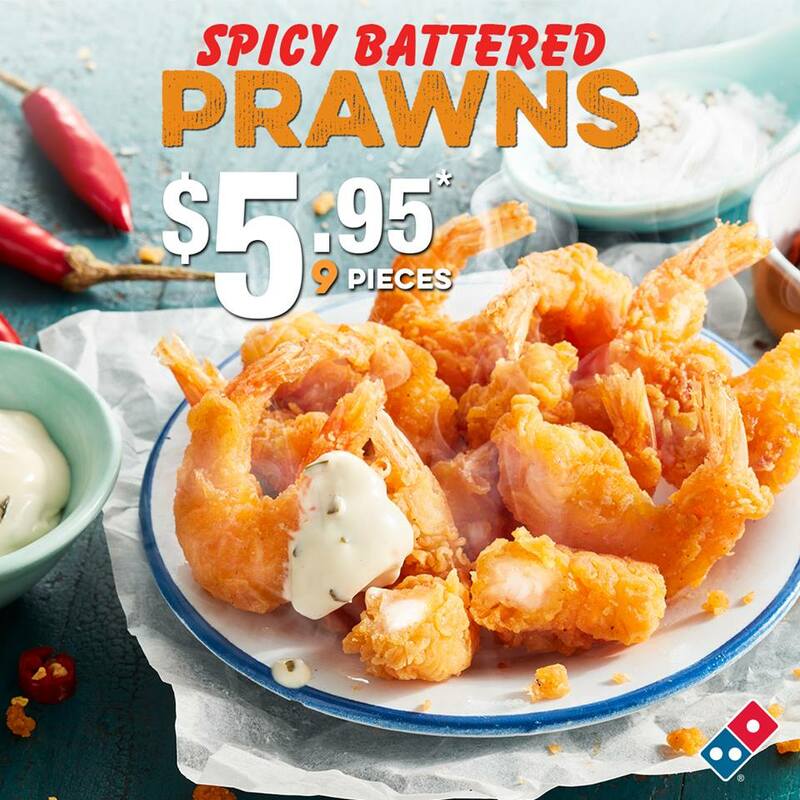 The pizza from Domino’s features prawns, steak & bacon served on a pizza sauce base and topped with hollandaise sauce & spring onions. The pizza is on the Premium menu, meaning that you’ll pay a $2.95 surcharge on top of a Traditional Pizza price. This means that this pizza will normally cost around $14.90 to $16.90, but you can get coupons for this pizza for as low as $9.95 on our Domino’s Voucher and Coupon page. To order, click here to order! If you’ve tried Domino’s new Bolognese Garlic Baguette, let us know what you think in the comments!